The construction of a 1-kilometer concrete barrier passing by the infamous “Jungle” refugee camp in Calais, northern France, began Tuesday. Dubbed the “Great Wall of Calais” by the media, it aims to stop asylum seekers from entering the UK. Britain is paying approximately £2 million ($2.6m) for the 13-foot-high wall built in an attempt to control immigration and improve safety at Calais. The port is a key hub for asylum seekers, refugees and migrants trying to make their way across the English Channel. Calais is also home to the Jungle camp, which houses over 10,000 asylum seekers living in tents amid squalid conditions. Tensions have flared between locals and camp inhabitants, who are accused of being violent and disruptive. Smugglers have been known to disrupt and stop traffic in order to give stowaways a chance to jump onboard trucks. On September 5, French farmers, truck drivers and police staged a blockade of the motorway leading to Calais in protest. 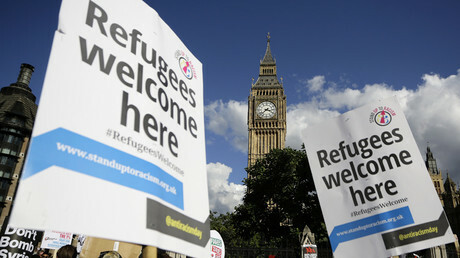 Construction of the wall has faced criticism from many parties in the refugee crisis debate, including some politicians such as former French President Nicholas Sarkozy, who suggested that since asylum seekers are trying to get to Britain, they must be dealt with in Britain rather than stay in France. 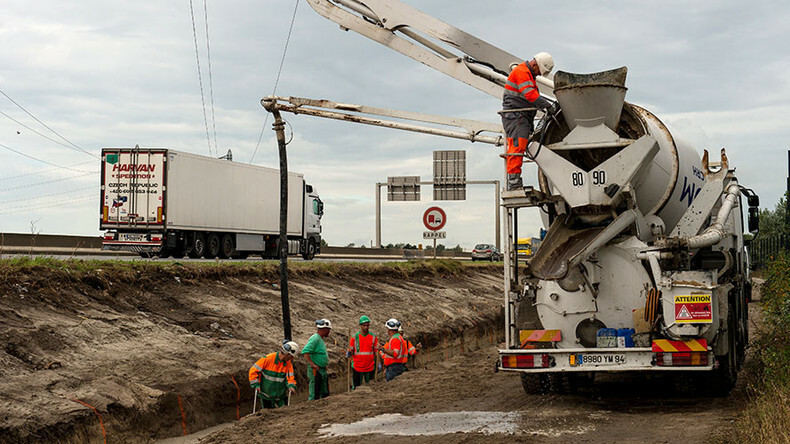 The UK’s Road Haulage Association, which represents British truck drivers going through Calais, has described the project as a waste of money. Steve Symonds, of Amnesty International, believes that it will merely force desperate people to seek more dangerous alternatives. “A wall will simply further empower smugglers by forcing people to take even greater risks to get across the Channel,” he said. Violence broke out not far from the camp as workers continued to build the wall. At least 300 migrants clashed with French police, who used teargas to repel people trying to stop and get inside trucks heading to Britain. Dozens of teargas canisters were fired and the road leading to the ferry terminal in Calais was temporarily closed. Migrants were throwing objects at police officers, one of whom suffered a slight injury. 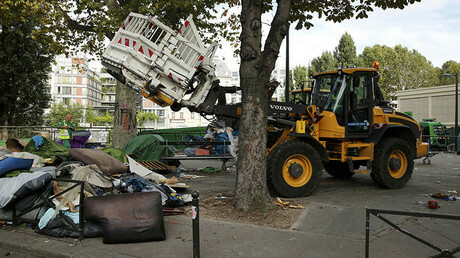 On September 2, Interior Minister Bernard Cazeneuve vowed to gradually dismantle the Jungle in stages. French authorities have repeatedly closed down camps in the Calais area only for them to pop up again elsewhere. According to the NGOs L’Auberge des Migrants and Help Refugees, the camp’s population is 43 percent Sudanese, 33 percent Afghan, 9 percent Eritrean, 7 percent Pakistani and 1percent each Syrian and Iraqi. Over 1,000 of the camp inhabitants are children.